The words ?power? and ?performance? are often overused. Although they summarize what you want out of an exhaust, maybe other words like ?awesome? and ?incredible? should come into the mix. Whether your ATV is your hobby or your life, you want the most out of it. 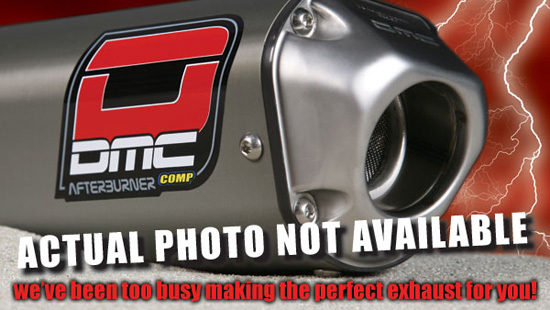 DMC exhausts are designed, developed, and tested for each ATV to deliver on that awesome factor. These systems have been race hardened by National Champions the world over and deliver on the promise of unparalleled performance.